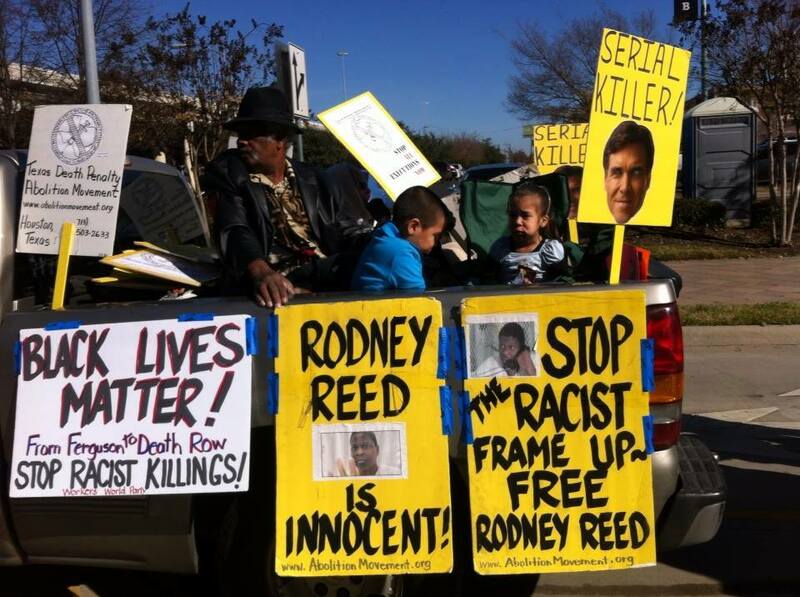 Houston | Free Rodney Reed! Activists in both Houston and Austin joined the parade festivities celebrating Dr. Martin Luther King, Jr. on Monday, Jan. 19. We collected petition signatures and added some beautiful faces to our #Justice4Rodney Instagram pics. 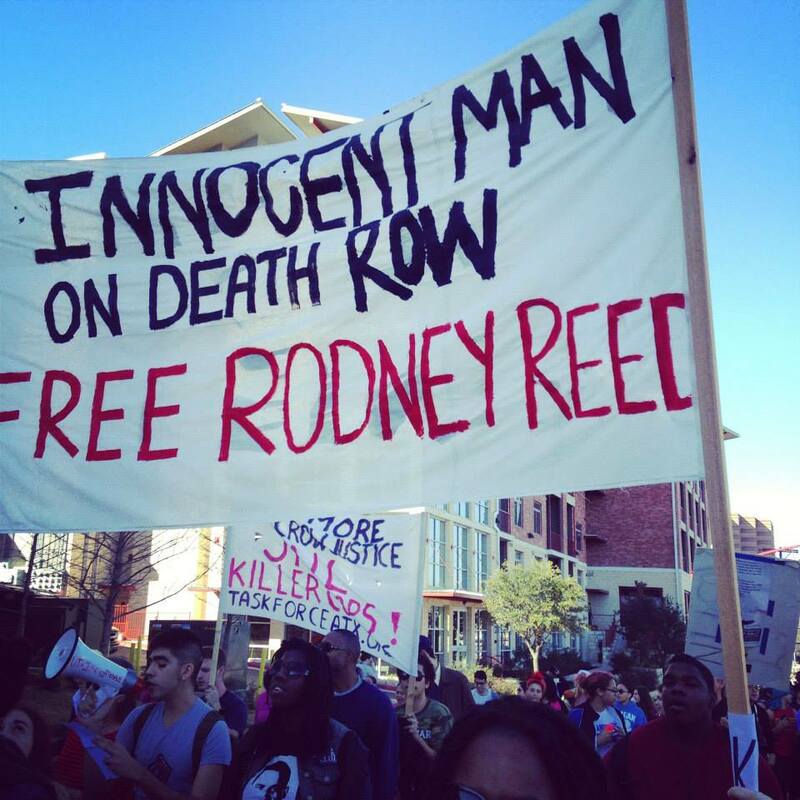 You can add your own solidarity photo by following #Justice4Rodney and tagging your picture! Honor the legacy of Dr. King by joining the fight for Rodney’s life! 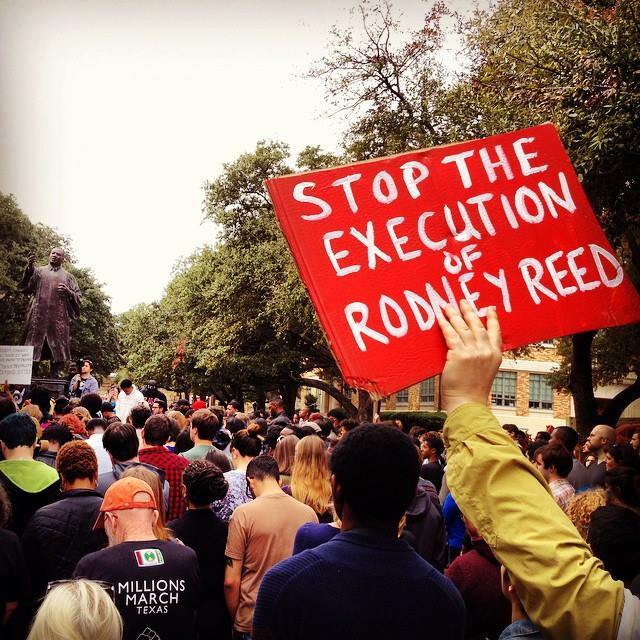 Supporter holds a sign reading “Stop the Execution of Rodney Reed” in a crowd gathered around the Martin Luther King, Jr statue at the University of Texas at Austin. Texas Death Penalty Abolition Movement truck in the Houston MLK Day parade. January 2015. 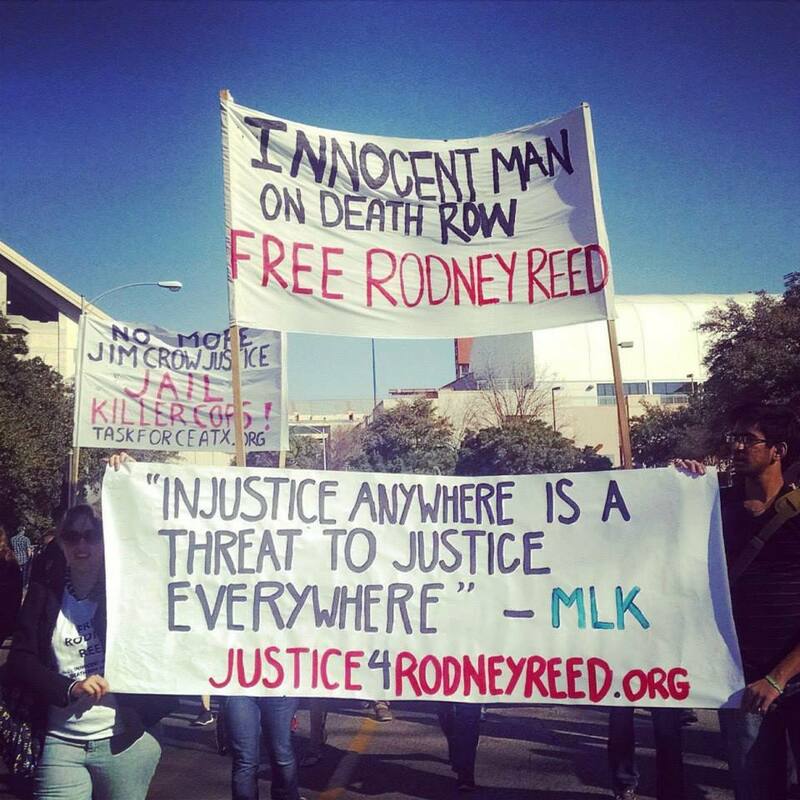 This entry was posted in Protest and tagged Austin, Houston, Justice4Rodney, MLK Day on January 22, 2015 by justice4rodneyreed.